Set in the west end of Jamaica, Negril has made its name among locals and visitors that are blessed to encounter the location, for having the most stunning view of the sunset. 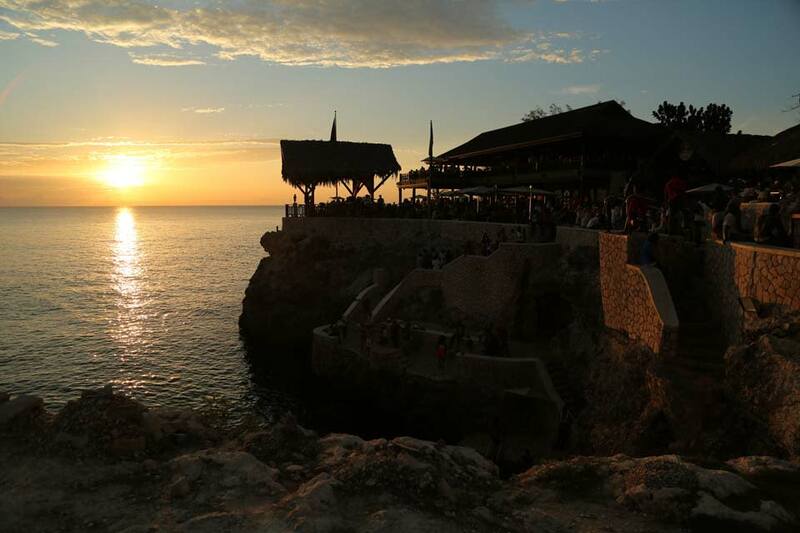 Whether you’re in the mood for something low-key and secluded, or you want to enjoy it in a lively crowd with locals, family and friends, we can help you decide, with our list of Top 5 Places To Watch The Sunset In Negril. Rick’s Café is probably the most famous one of all. The cliffs of Negril at the westernmost part of the island boast spectacular sunsets, and nowhere has a reputation for it quite like Rick’s. 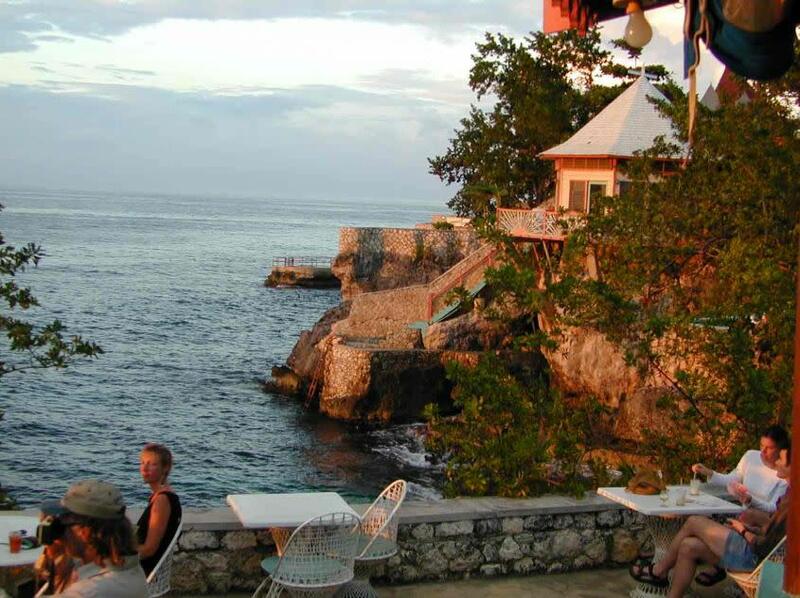 This world famous spot, which started out as a sleepy bar in 1974, despite being devastated by more than one hurricane, just keeps returning with better ways to end a fun filled day by sipping a signature Jamaican drink while watching the sky catch fire. This spectacular location is set atop a 35-foot high cliff and is also known for exhilarating cliff jumping. With a restaurant and bar, this location is your one stop shop for a fun filled day, from start to finish! 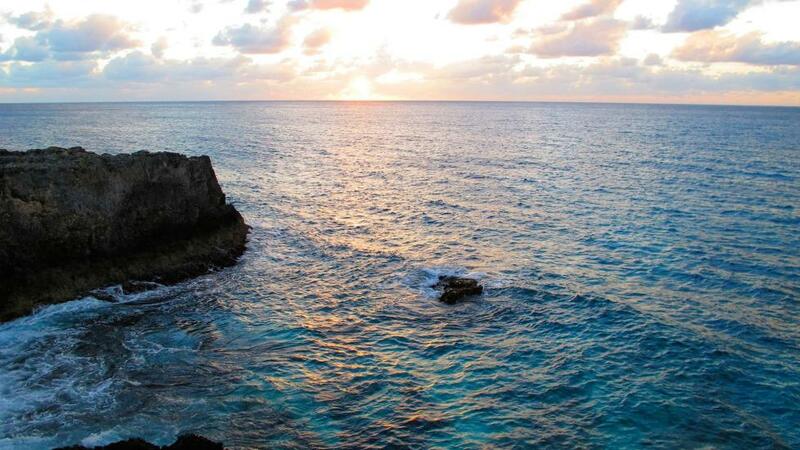 If you’re looking to watch the sunset from the comfort of your hotel room then look no further than the Rockhouse Hotel! Set in the pristine cove cliffs in Negril, this home away from home offers a relaxed yet distinguished sense of luxury with no shortage of amenities to be found! 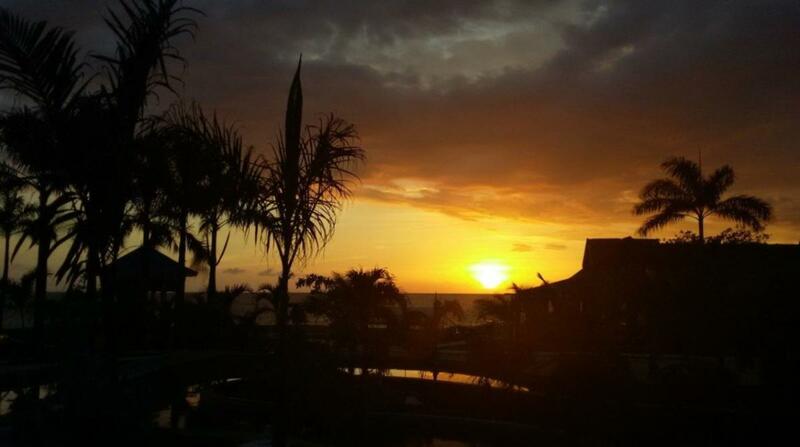 Be treated to magical sunsets in an eco-conscious environment with warm and friendly staff ready to serve you. The breath-taking views can be had from your very own private balcony or from the pool bar, relaxing in a hammock, cocktail in hand, music in the background and watching the skies blissfully blaze. Not staying at Rockhouse? No problem! 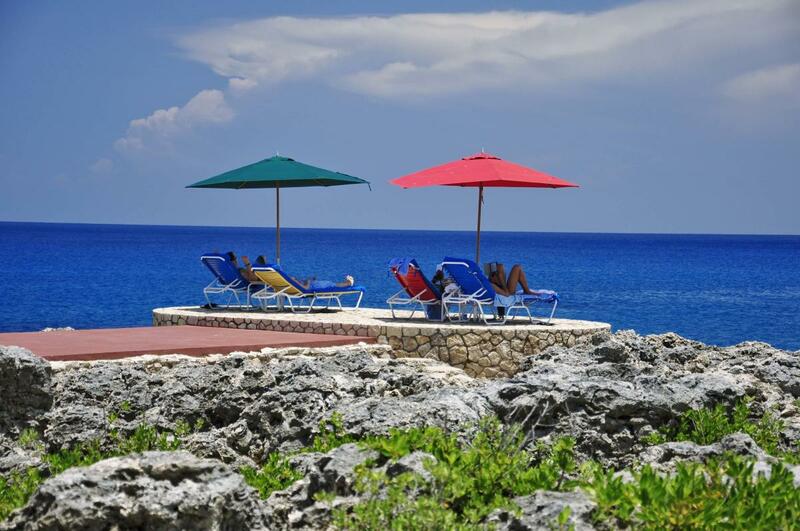 You can journey from any hotel in Negril to go to their onsite restaurant, Pushcart. They provide a free shuttle from Negril to the restaurant with a $10 USD fare to return to your hotel. The name is as exotic as the quaint cottages and octagon shaped bungalows spilling across the countryside and perched atop rocky terraces overlooking a turquoise sea. The hotel is located at Negril’s West End, close to the center of town and directly on the sea, a mere 10-minutes-drive to the famous 7 Mile White Sand Beach and 1.5 hours from Sangster International Airport in Montego Bay. Some rooms have luxurious private balconies located right on the cliffs,with short paths to the piers and the beautifully clear water below. If you’re feeling adventurous, there is a small jump point to get your adrenaline going! Experience swimming in a the Caribbean Sea while sipping a cool island drink as you watch a Negril sunset bursting in technicolor display. Later, dine in the spacious open-air seaside bar and restaurant, beneath which are exotic caves, which adds a romantic and unique touch. You can swim, snorkel, and explore caves all from this resort. The Cliff Hotel is a charming, modern, boutique hotel with exceptional ocean views. You can enjoy watching the sunset from the reef patios adjacent to the hotel’s popular Zest restaurant. This intimate hotel offers quiet and solitude, an escape from the crowds and a moment to enjoy nature’s evening show. Staying at another hotel in Negril? Make a dinner reservation for you and yours to catch the sunset over drinks and expertly crafted meals by The Cliff’s acclaimed chefs. Ivan’s Bar and Restaurant has been sworn upon by locals andvisitors for having both great food and service for dinner and sunset. This is a family-friendly restaurant offers nightly music and unparalleled views of the coast. 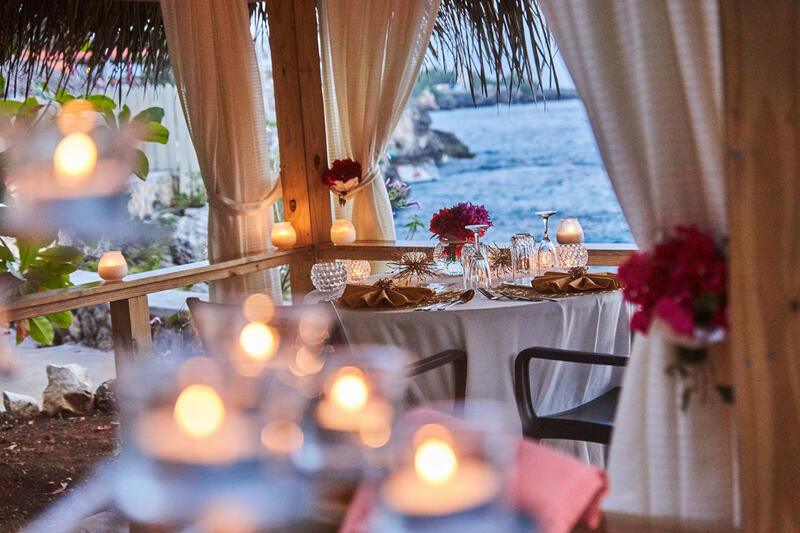 If you&apos;re planning a special night, take advantage of a secluded table overlooking the cliffs. If the sunset won’t have you coming back, the scrumptious food surely will! From succulent jerked shrimp to the freshest catch of the day, Ivan’s Restaurant and Bar has a lot to offer!